Dortmund - It may be somewhat premature to talk of a new bogey team in the making but one way or the other, Borussia Dortmund will be glad to have seen the back of Hamburger SV for another season. Saturday's 4-1 home loss to the Red Shorts rounded out a rare double campaign defeat for the team who have ruled the domestic roost in Germany over the past couple of years. The result was no fluke either. "My team tried all they could after the break, but in the end we had nothing to show for it. Everything went against us today. You get days like this, but you could certainly do without them," Jürgen Klopp reflected afterwards. At the same time, the BVB head coach was quick to acknowledge the bottom line: "We weren't good today, and we deserved to lose." 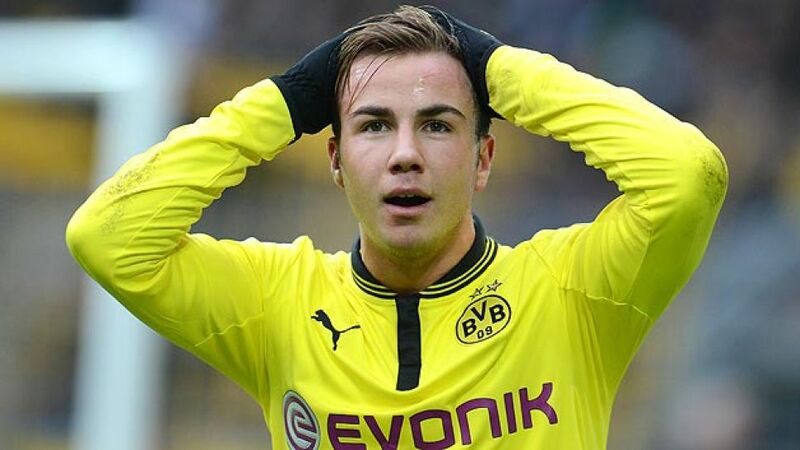 After starting 2013 with three successive victories, Dortmund's heaviest home defeat since they went down 5-1 to Bayern Munich in September 2009 leaves them now trailing the Bavarians by 15 points - and requiring a comeback of unprecedented proportions if they are to successfully defend their Bundesliga title for a second successive year. Not that anybody in the Borussia camp is overly concerned with that unlikely scenario at the moment. Of far more pressing concern to Klopp and his players is getting refocused in double-quick time for Wednesday's challenging UEFA Champions League outing at Shakhtar Donetsk. on Wednesday. The midfielder was restricted by thigh and toe troubles to a 25-minute run-out off the bench against Hamburg and did not fly out to Ukraine with the rest of the squad on Tuesday. Gündogan has come into his own in the deep-lying playmaker role over the past year or so and, worryingly for Dortmund, they were unable to win any of the six matches in which the Germany international was missing from the starting line-up this season. As an interesting aside, the man he was putatively signed from Nuremberg to replace in 2011, Nuri Sahin, made his first starting appearance since rejoining Borussia from Real Madrid on a long-term loan deal over the winter break. As far as that went, Klopp soberly reflected: "It was the same for [Sahin] as the rest of the team. At the start, he wasn't fully there. After that, he had a lot of good moments - but I'm not really inclined to single anybody out on the back of a 4-1 defeat." Sahin himself agreed with the coach's analysis, noting on the club website: "We didn't play well early on, we couldn't get into the match at all. At the end of the day Hamburg deserved to win, it has to be said." A poor performance it may have been by the champions' own demanding standards but - as is almost invariably the case with Dortmund - they still racked up 22 attempts on goal - as opposed to HSV's 13 - and that despite being a man down for half an hour until Jeffrey Bruma's red card restored parity after Robert Lewandowski had been sent off in the 31st minute for a rash challenge on Per Cilian Skjelbred. "I've seen worse decisions," Klopp said of the Polish forward's first dismissal in 87 Bundesliga outings. "Red was an option. All-in-all it was a pretty unfortunate situation." Before heading off for his early shower, Lewandowski had put Dortmund in front with his 14th league goal of the season, leaving him level with Mario Mandzukic and Stefan Kießling at the top of the individual scoring chart. The remainder of the hosts' plentiful scoring opportunities all went begging but, fortunately for Klopp and BVB, the jurisdiction of Lewandowski's impending suspension does not extend to Wednesday's crucial clash in Donetsk.